Our brochure contains full information about these events.. NB this file is large and may take time to download. Certificates of Attendance will be given. We regret that refunds cannot be given in any circumstances except the following: you cancel your place in writing before 1 June 2010, in which case we will give you a 50% refund. If you need to cancel after 1 June you may pass on your place to another. The concept of the self is a subject of extensive theoretical debate, perhaps because of the great challenge of describing its characteristics and formation. Interestingly, within Western paradigms, the self is often understood through a relationship with its opposite: I and thou, self and society, true and false, inner and outer. And traditionally psychotherapy aims to strengthen these distinctions between self and other in the project of developing individuation and resilience. In the plethora of theories certain ideas have been highly influential: Jung's theory of the self as an autonomous, integrated whole that unifies the individual; an object relational perspective illuminating the relationship between the perceived subject and object; Kohut's understanding of the self as arising from a tension between conflicting needs. Attachment/developmental theory elaborates how relational trauma contributes to a fragile or fragmenting self that struggles to exist, while a linguistic approach would understand the self as occurring in language. Post-neuroscience theories illustrate how it arises from a multiplicity of affective reactions to the environment, an 'immunological' barrier that identifies inner from outer, while post-modern perspectives explore the self as the product of relational interplay and propose a fluidity of identity. Yet, regardless of theoretical positioning, all constructs seem to reach towards an understanding of the individual person - one who embodies a unique history, identity, cognitive mind, and affective repertoire, and for whom things can go wrong. This seminar series will explore theories of the self, and how we can select from these to work most effectively with a particular patient/client. 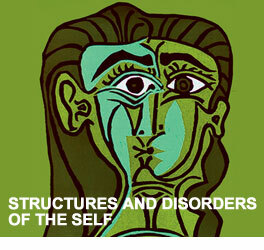 We will consider how we recognise and assess problems the development or experience of the self. Above all, we will talk about what therapeutic interventions are most likely to alleviate that person's suffering.